The Hyundai i20 is the classiest looking vehicle of the three -- the Jazz, while not exactly a bad looker, is a bit plain Jane (but, of course, classicists may prefer this aesthetic, says Aakash S Paul. 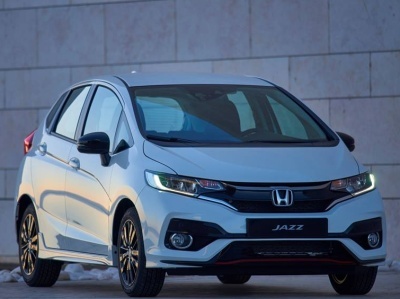 But if you are on the lookout for a combination of space and sporty performance, the new Honda Jazz is the best-suited car for you. The Honda Jazz has had its steady bunch of loyalists for some years now. Of late though, competition for the Jazz has been on the rise with the Maruti Suzuki Baleno and the Hyundai i20 offering great features in their cars. Curious to see how Honda has responded to admittedly stiff competition, I did not let the heavy rains play spoilsport when invited to drive the latest version of the Jazz. A first look is disheartening -- not much seems to have changed on the exterior of the 2018 Honda Jazz. It sports its familiar look, except for the addition of a chrome slat on the front and rear of the car and chrome door handles. The rear gets LED wing lights. The tail-lamp extends vertically along the edge of the boot lid and has a honeycomb-like design inside. The car retains its simple aesthetic, not essentially bad or even bland, though I would have liked to see LED DRLs in the wraparound headlamps. The 15-inch alloy wheels are smart. The interiors have been treated to more changes, the most noticeable being the new 7-inch touch screen infotainment system which Honda calls DigiPad 2.0. This new screen is compatible with both Android Auto and Apple CarPlay. Touch response is smooth and while it might not be the most vibrant screen in the business, it does its bidding. The 2018 Jazz also comes with satellite navigation -- a definite plus -- and in my limited time with the car, it worked very well, finding correct routes to places we wanted to drive to. 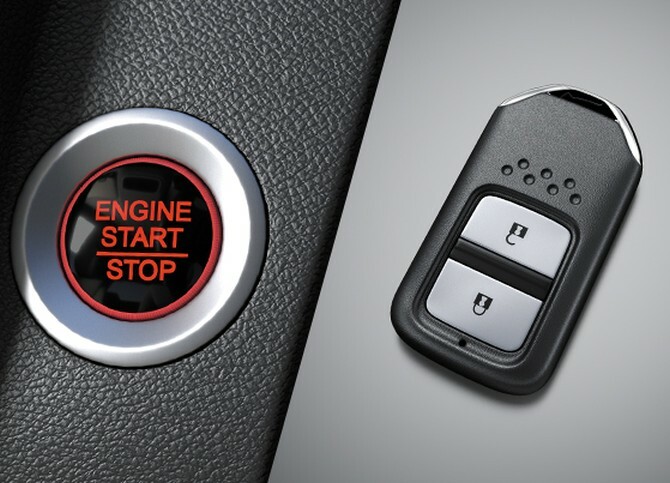 A smart key accompanies the new Jazz and the top-end model also gets you an engine start/stop button. Another addition is an armrest, which combines comfort with utility by packing a large area underneath by way of storage space. Speaking of storage, the Jazz has always offered lots of nooks and crannies to store things and this new avatar is no different. There are cavities in all four doors for storing bottles, cubbyholes and cup holders on the centre floor console, and a special cup holder for the driver. In this version, the driver also gets a vanity mirror. The ORVMs are now electronically controlled and can be adjusted, retracted and opened with controls on the driver side door. The seats remain comfortable and the cushioning is adequate. The side bolsters hold you comfortably in place and, as a six-footer myself, I felt no lack of headroom or legroom. The thigh support was excellent, too. 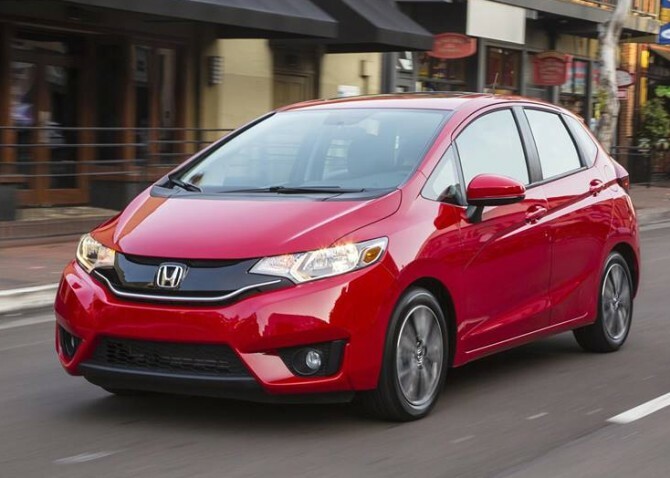 The new Honda Jazz is a very capacious car. The second row gets a bench that easily seats three thanks to the mostly flat tunnel. Even with the driver seat set to my preference, I had plenty of leg- and knee-room in the second row. Thigh support, however, could have been better. Also missing were seatback pockets and adjustable headrests in the second row. There are no dedicated AC vents for second-row occupants, but that isn’t a problem as the automatic climate control unit in the front is more than capable of cooling the entire cabin even on a hot day. 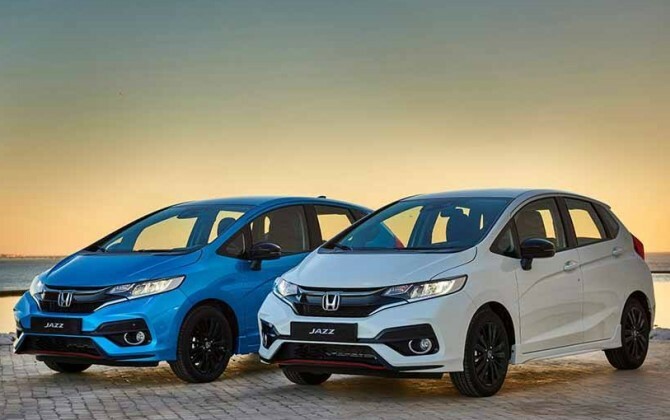 The 2018 Honda Jazz is available in both petrol and diesel options. The 1.2L petrol engine comes mated with either a 5-speed manual transmission or a 7-speed CVT. The diesel, on the other hand, can only be had with a 6-speed manual, at the moment at least. I drove the petrol automatic and found it quite unchanged: this is the same refined i-VTEC engine from Honda and it packs 88.7hp and 110Nm of torque. The move to make dual airbags, ABS and EBD, standard, enhances the safety factor. If I were to compare the new Honda Jazz with its competitors, I would say the Hyundai i20 is the classiest looking vehicle of the three -- the Jazz, while not exactly a bad looker, is a bit plain Jane (but, of course, classicists may prefer this aesthetic). The Jazz lacks LED DRLs for the front while the i20 and the Baleno have them. In terms of space, the Jazz is a clear winner, the Baleno a close second and the i20 making do with third position. Several features that are available in the other two are missing in the Jazz but it makes up by offering paddle shift and a sports mode while driving. If you are on the lookout for a combination of space and sporty performance, I am happy to recommend the new Honda Jazz as being the best-suited car for you.